Luxurious top floor, income producing, 3 bedroom/3 bath condominium situated perfectly on the WEST corner, which rarely comes on the market at the prestigious Villas at Sunset Beach Condos. Greater than 1,800 square feet of seaside extravagance with a toes-in-the-sand locality on the renowned beaches of 30A. Beautifully laid out condo for second home or vacation rental- master suite includes a walk in closet, two separate sink areas, and Australian hardwood flooring in the kitchen and living areas. An expansive 4th floor balcony offers the best Gulf views, breezes, and sunsets from all angles. 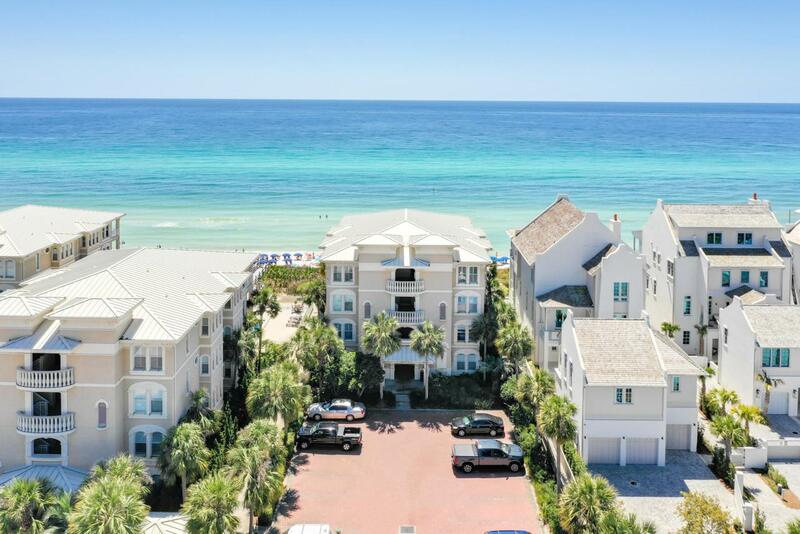 At Villas at Sunset Beach there are only 24 units total, offering a low density ultra private feel accessible via the guarded gated entrance, along with a sparkling Gulf front pool all situated nearthe quaint beach towns of Alys Beach and Rosemary Beach.